News: Broadway Group Sales, Ling King, Joplin, Of Mice & Men | All Tickets Inc. The Lion King will reach $1 billion in sales. Here’s Broadway news for groups looking to book tickets to great shows on The Great White Way. In this blog we look at The Lion King and it’s record-setting run, a potential revival of the drama Of Mice and Men, and A Night with Janis Joplin. The Lion King, which premiered on Broadway in October 1997 is about to set a record for tickets sales as total sales for the run top $1 billion! 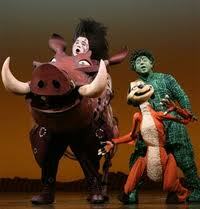 That’s a lot of hakuna matata for producers of the show. The national tour of the same show topped the $1 billion mark a while back. The Phantom of the Opera, which has been running nine years longer on Broadway, has done about $930 million in sales. The Lion King is theatrically exciting. 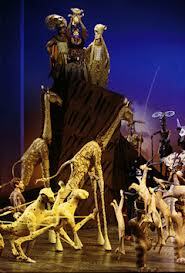 When The Lion King, which features a score by Elton John and Tim Rice, premiered it won numerous awards. Those include six Tonys, eight Drama Desk Awards, and six Outer Critics Circle Awards. 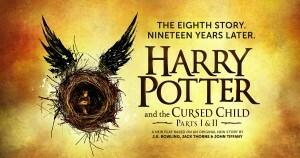 In London it won two Sir Laurence Oliviers and the Evening Standard Award for Best Theatrical Event. Director Julie Taymor’s direction and creativity certainly helped make The Lion King a unique theatrical event. James Franco says he’ll be in Of Mice and Men on Broadway. It’s been reported that James Franco may star in a revival of John Steinbeck’s Of Mice and Men, which looks to be coming to Broadway in 2014. Academy Award nominee Franco was on TV with Stephen Colbert in March and told the talk-show icon that he was going to play George in the play on Broadway. The casting notice is now up for the show, which will be directed by Tony winner Ann D. Shapiro and is slated for a Spring 2014 Broadway run. 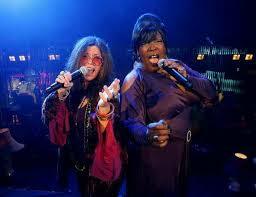 The new Broadway musical A Night with Janis Joplin has opened up availability for seats through to March 30, 2014. That news just came out. 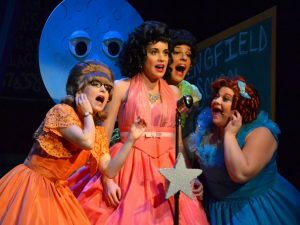 The show, which stars Mary Bridget Davies in her award winning performance as the Queen of Psychedelic Rock, opened October 10. Mary Bridget Davies as Janis Joplin on Broadway. 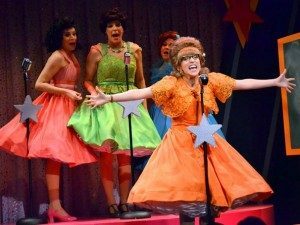 Special note, Davies performs six shows per week, playing the rock diva Joplin Tuesday through Saturday evenings and Sunday matinees while alternate Kacee Clanton performs the role on Wednesday and Saturday matinees. The musical is written and directed by Randy Johnson; A Night with Janis Joplin features choreography by Astaire Award winner Patricia Wilcox. How many Tonys will this new musical be nominated for and how many will it win? Stay tuned for that news in mid-2014. 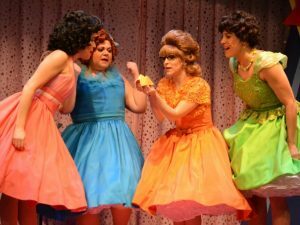 In the meantime, he’s once of our recent blogs on this new Broadway musical. All Tickets Inc. group sales agents will gladly get your group great seats to all and any Broadway musicals and plays. Long runs, recently opened, upcoming new shows and revivals are all available. Contact All Tickets Inc. at 1-800-922-0716 for more information on the above shows and all Broadway productions. Also, we can get groups great deals on meals, accommodations and any and all NY experiences, including museums, tours, historic sites, landmarks, cruises and more. We offer New York’s total group experience. Pingback: Of Mice & Men: James Franco, Broadway Group Sales, Discounts | All Tickets Inc.